Aha!...so you have found my page! the experience of knowing a little bit about me...Laterz! Need Tech advice on Equipment, setting up a Studio etc. Feel free to email me shyam_gtr@hotmail.com and I will be glad to assist! Hi!..It's been some time since I put this page up and I would like to thank all those who visited especially those who signed my guestbook and gave me their feedback...so THANK YOU! !..I hope to improve the site and myself with your input. 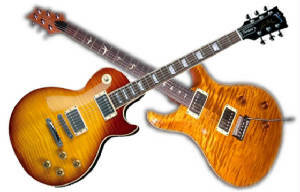 Well I got my Paul Reed Smith and Les Paul..what next?? Well I'm looking for a Tom Anderson next..keep ya posted! !